A range of race, nationality, every age..from baby to elderly, dress…whether it be fitness, jeans or workwear (I actually saw someone walking in a business suit), and all lifestyles…moms with their children in strollers (a lot of these), family, friends, co-workers, those getting in their daily (or periodic) walk or run, rollerblading, frisbee, and those walking (or running) their dogs (and there are all kinds)…I loved this as I like dogs. There are those that are picnicking or sunning themselves, boat rentals, people watching while feeding a squirrel (not recommended), birdwatching, fishing, playing with a motorized boat, reading a book (while walking) or sipping coffee, bicycling, playing tennis, basketball, those having a group meeting or class, and children playing at the playground (and wading pool when it gets warmer). 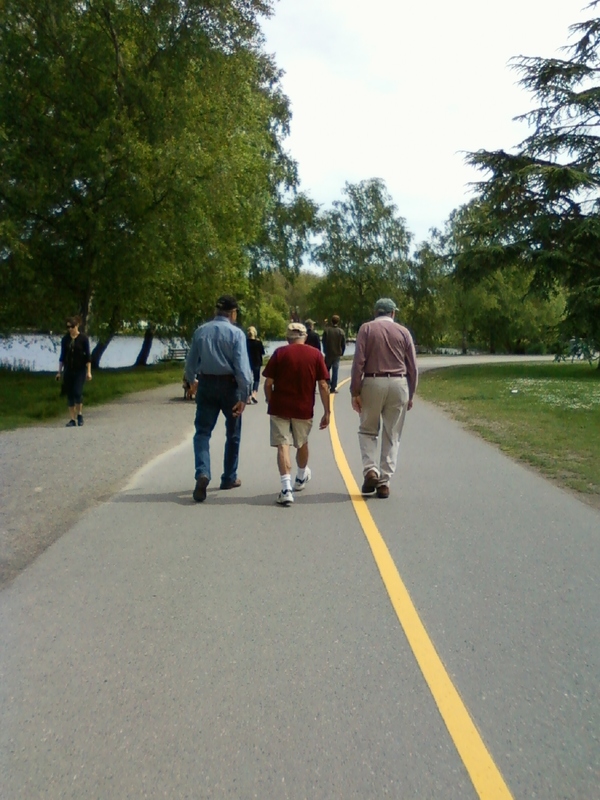 I especially enjoyed seeing three older gents taking a stroll, getting their exercise, and enjoying conversation. 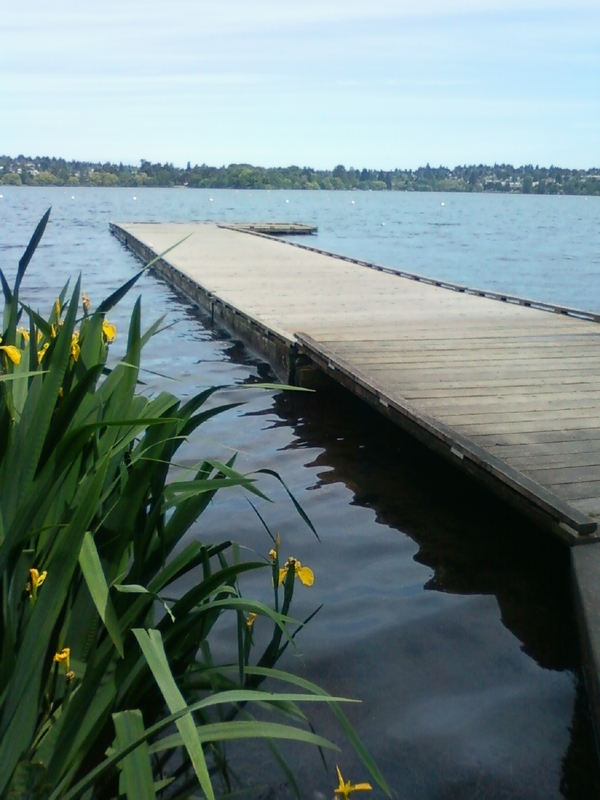 Rowing, sailing, canoeing, and kayaking classes can be had at the Green Lake Small Craft Center. And for your art fix – the Seattle Public Theater at the Bathhouse http://seattlepublictheater.org/ offers community-based theater in an intimate setting. Headed to Super Jock ‘n Jill http://superjocknjill.com/ to see their Thursday night sports therapist with regards to my foot…seems to be that I need to stretch my tight calves to keep the pressure off the toes. Super Jock ‘n Jill has good service and really looks to find you the right shoe. 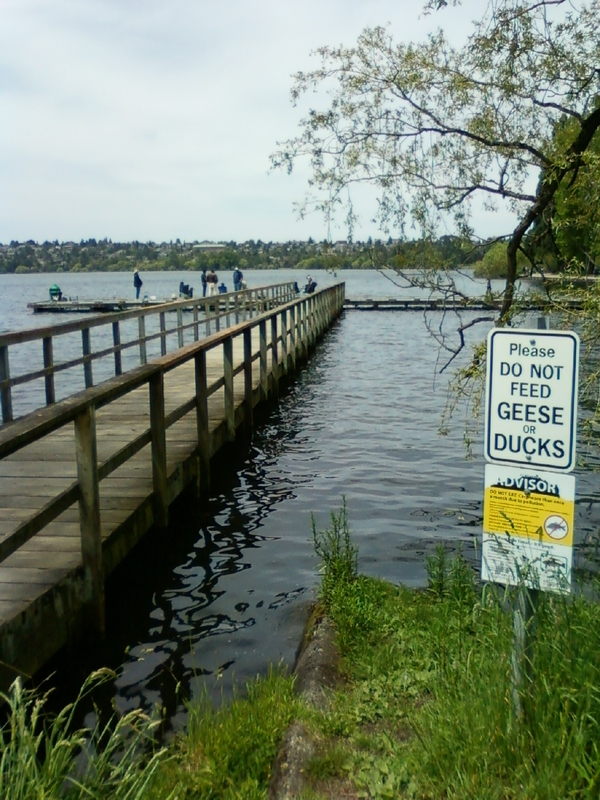 Anyway, met a friend for lunch prior to and ended up at Tacos Guaymas at Green Lake. 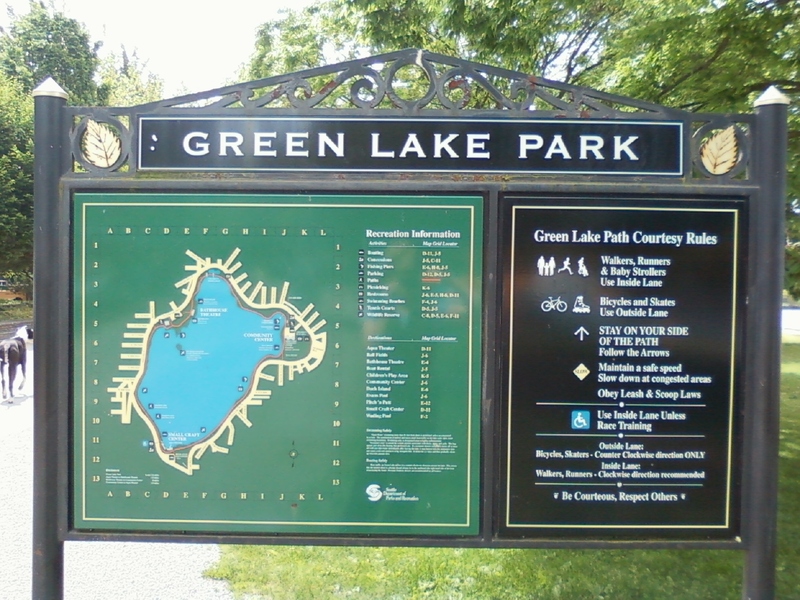 http://www.tacosguaymas.com/cantinagreenlake/index.html This is one of my preferred spots located here. I enjoyed the complimentary chips and salsa and draft beer for happy hour (sitting in the bar area is my preference). I cannot comment on the margaritas as I have not had these recently. We ordered the chicken soft tacos and a quesadilla. The staff is friendly…with smiles from the men. And a special treat, a mariachi band entertains on a regular basis at this location. Tacos Guaymas has other locations as well.